New Delhi: (06/02/2019) Just hours before Robert Vadra appearance before ED in money laundry case. BJP comes out with documents alleging he got kickbacks from a Petroleum Deal and a Defence Deal during Congress Regime. Trading more charges, Patra said that the brother-in-law of Congress President Rahul Gandhi also has ownerhip of a plush property in Delhi’s Malcha Marg which was first owned by one Jagish Sharma, a special aide of Vadra. Patra said that Vadra got the leeway to was during UPA 1. He also took names of Sanjay Bhandari, CC Thampi and Jagdish Sharma who were complicit in the devious activities. 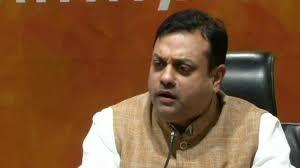 The BJP leader asked Rahul Gandhi to come clean on the entire matter involving his sister’s husband.